Welcome Fernway families! The Fernway Parent Teacher Organization supports students, teachers, administrators, and parents/guardians of Fernway School through educational and fundraising activities. If you have a child at Fernway, you are automatically a valued member of the PTO as there are no dues to pay or applications to fill out! We hold our PTO Meetings every month in the Fernway library. All are welcome. Staying connected with Shaker Schools when you're on-the-go just got easier. 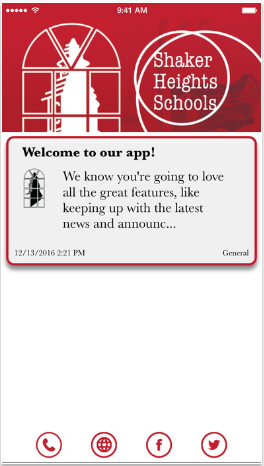 Introducing the Shaker Schools app, available now as a free download on your mobile device or tablet. It's your one-stop-shop for the latest news and alerts from the District and your selected school(s), as well as information on events, staff contacts, food menus, and more. Plus, users can quick link to PayForIt, ProgressBook and Naviance. Download the app for iOS or Android today! Stay informed of what is happening at Fernway and in the district by signing up for the PTO's weekly Fernway Update and/or Principal Hayward's text or email alerts. Please click here and enter your e-mail address. You will be entered in the PTO database so you will receive the appropriate PTO e-newsletters as your children transition from school to school. 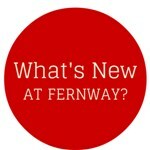 The Fernway Update will be delivered on Friday mornings. We value your privacy; therefore, we will not sell, rent, or give your name or address to anyone. At any point, you can select the link that appears at the bottom of every e-mail to unsubscribe, or to change your preferences. Please sign up today to stay informed. Trouble using 81010? Try texting to 216-485-3756. If you have a child in more than one grade, you will need to sign up for each grade's reminders (i.e., text 81010 twice, once with the code for the first child's grade, then again with the code for the second child's grade). NOTE: Returning families do not need to sign up for Remind again for the 2015-2016 school year. You will automatically be added to the appropriate list. Here are three additional ways families can help raise money for Fernway School. Thank you! BoxTops: In addition to collecting paper boxtops off products you use at home, you can earn eBoxTops when you shop. Register today at BTFE.com. Team up for education with Heinen's: Just click to add Fernway to your Heinen's card and earn money for our school! Register your card and follow the steps to select Fernway as the beneficiary. Amazon Affiliate Program: When you click through the Fernway PTO's Amazon Fundraising link to do your shopping on Amazon.com, the PTO receives a portion of your proceeds. Click through the Fernway PTO link every time you shop Amazon and money goes directly to Fernway - no special registration or login required! Libby's Labels: Have a can or carton without a box top? Look to see if it's a Libby's product! All Libby's Labels for Education Points can be turned in to Box Top collection boxes at the school. Be sure the UPC code and Libby's Points portions of the label are intact.